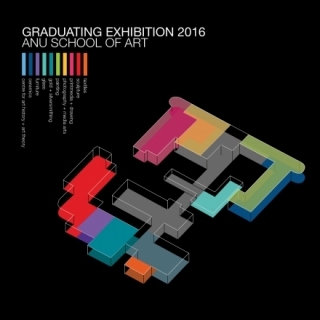 The ANU School of Art is proud to invite you to its Graduating Exhibition 2016. The achievements of our graduating students are exhibited across the entire school and catalogued in the accompanying publication. The exhibition showcases the work of students completing awards in undergraduate programs and Bachelor degrees with Honours. The culmination of years of study in art practice, as well as art history and art theory, the work represents the successful resolution of thought processes, skills and making, working in and across disciplines.